Filming for Frank begins in Dublin and then moves on to finish it up in New Mexico. The first FF fundraiser event in honor of Michael's birthday in April has been announced. The Bike Experience has been selected as the charity that this community would like to make donations to. This is a unique cause that is in alignment with Michael's favorite hobby of motorcycling. Our milestone goal was initially $300US to get the ball rolling, so to speak. However, based on how quickly we hit that goal, after only 4 or 5 donations, I started to think of what the final goal should be. By the end of February, we hit $1000.02 with a month to go! That was a great sign. Michael made a guest appearance on the Graham Norton Show and it was cringe worthy due to a drunk Mark Wahlberg. With a full month to go, the fundraiser goal was set to £1000 - I feel confident that we can make this goal! And the goal was made and surpassed with still 10 days remaining for the fundraiser! The 'Keep Calm' Fassbender theme t-shirts are born this month. 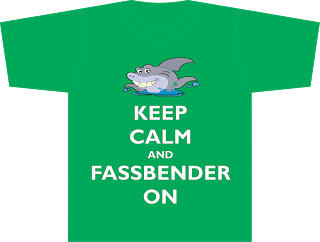 A cool collaboration with Limelight Impressions allow for me to work with them to design and create these one of a kind and original t-shirts for the Fassinator community. Michael pulls out of the 'Jane Got a Gun' film due to scheduling conflicts. Meanwhile, the fall release dates for 12 Years a Slave and The Counselor are announced. The total amount raised in our first FF fundraiser exceeded expectations! In honor of Michael's April 2nd birthday, we raised £1142 ($1739), 114% of our goal. What is all the more amazing about this is not only was it our first fundraiser, but it is the largest amount of monies raised for a fundraiser by a Fassinator fan community. This indicates how strong this fan community is, and how well they embraced The Bike Experience as an organization worthy of their hard earned money. Let's face it, in these stressful economic times, a lot of charities need your money right in your home communities. While many of us support local charities too, we still found a few extra bucks to help out a cause that is literally thousands of miles away from most of us, but yet we came together to honor Michael's birthday by donating to a cause we believe he would be humbled by our support. When you look at the US dollar value alone, it becomes all the more clear that the 40+ people who donated, gave a lot of money, and even the smallest donation counted towards this complete and final total! We all should be proud of this accomplishment and it will be interesting to see what we can do in 2014, but in a shorter fundraiser window of five weeks instead of the full two months of last year. For all those who donated, a 'certificate' was sent to Michael's agency to announce the birthday fundraiser amount, the name and website of the charity, and the names of those who donated. It was well received! Michael was spotted having fun in Buenos Aires, and TYAS is not ready for prime time at the 66th annual Cannes Film Festival. The top ten Most Glorious Photos of Michael Fassbender has been selected by the fans. 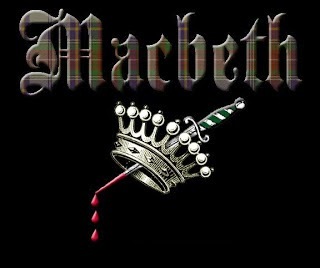 And in a great announcement, Michael will star in a new film adaptation production of MacBeth to be filmed in New Zealand. However, Natalie Portman was originally cast as Lady MacBeth, only to be replaced by Marion Cotillard months later. Yet again, I find myself trying to help people to use common sense and not believe in the scandals and unsavory gossip about Michael Fassbender. It's a position I take very seriously - I feel obligated due to my responsibilities with the Fassinating Fassbender communities. However, this month, we then learn that Assassins Creed will debut a few months later in the summer of 2015 (August instead of May). Michael is spotted man-hugging it out in London with his BFF#2 Bradley Cooper, and we get a glimpse of his lady-friend Louise Hazel. Afterwards, Michael heads to Montreal, Canada to start filming X-Men: Days of Future Past. Lots of pictures pop up of Michael Filming X-Men in Montreal. And BFF#1 Emerson hangs out with Fassy at the F1 Grand Prix. The first images of TYAS are released and looking very good. Days later, first peek images of The Counselor are released to equal interest. By the end of the month, it is announced that TYAS US release date has been moved up from Dec 27th to October 18th - a very, very smart move. On a personal note, I finally found a new job and it literally save my life: mentally, professionally, and financially. The Toronto Int'l Film Festival confirms that TYAS will screen there in September! Trailers for The Counselor are released. 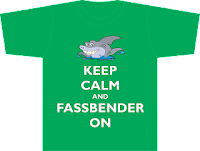 The 'Keep Calm and Enjoy a Fassbender Film' t-shirts have been ordered for my TIFF visit: one for moi, and one to hopefully hand to Michael himself. Fassinating Fassbender Pinterest community celebrates its first anniversary. To prove once more his love for motorcycles, Michael is seen test driving some Harley Davidson cycles at the Montreal dealer. TIFF confirms that Michael will attend the premiere of TYAS on September 6 and I will surely be there! And a week before TIFF, Michael and the cast attend the Telluride Film Festival. I saw TYAS at TIFF and was astonished by the film. I sat in the front row and Michael stood almost directly in front of me. Although his time and schedule in Toronto was brief and very, very hectic, I was not able to secure an interview with him. My hopes to interview him were narrow to begin with, and I knew that, but I am appreciative of people trying to do what they could to help me. TIFF is just not the right venue for an un-credentialed blogger to request an interview, but, I was able to hand him the t-shirt and Michael gave me a smile and a wink. My FF duties were complete! 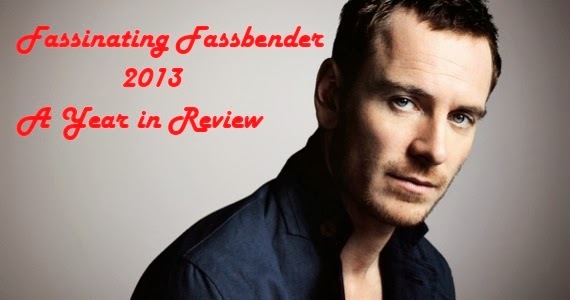 Fassinating Fassbender celebrates 5 years on Sept 8th! And days later, TIFF announces that 12 Years a Slave won its coveted People's Choice Award. An honor that has propelled most winning films onto Oscar glory. And as if all the current FF communities isn't enough, I created Michael Fassbender Weekly on the paper.li website. This allows all fans to review weekly updates about Michael Fassbender topics that are posted on the internet throughout the week. It is automatically set-up to post every Sunday around 2pm EST. I pre-select and filter some elements of the newspaper, and voila!, it does the rest. We learn that Slow West will be co-starring Michael and filmed in New Zealand starting in October. Michael promotes The Counselor at London's Odeon Theater. He also makes various appearances on US talk shows, namely, The Charlie Rose Show, and David Letterman, to name a few. Michael then goes on to make his third appearance on the cover of GQ US looking very tanned, fit, and having Crest White strips white teeth. Within the GQ interview, Michael reveals that he'll be too busy filming both Slow West and MacBeth in New Zealand to participate in any Oscar campaigning. Unfortunately, lazy readers and people prone to snarky gossip immediately call him out for being some kind of spoiled brat in not wanting to get involved in the insanity of campaigning for an Oscar. Yes, he's been there done that and nothing came of it. His comments are misconstrued and taken out of context to make like he's indifferent to Oscar. That is not the case, the man is a busy actor, an A-lister now and gainfully employed on hot projects. Surely he will do what he can when he can, but I definitely don't blame him for not wanting to go all out in campaigning for a well-deserved Oscar nomination like he did in 2011-12 for Shame, and look at how far all that hard work and campaigning got him then. The Counselor is released and receives great love and great hate for the film from fans and critics alike. Some people seemed to enjoy dissing the film and makes me wonder if people saw the same film that I did. I love it (review) and feel that some of those who hate it, missed the plot, and did not value the lengthy and in depth dialogue of the film. I guess for me, that is why I went to Grad school to study Communication and being so interested in what the characters were saying in this great film. New images of Michael Fassbender appear of him filming Slow West in New Zealand. And Oscar prognosticating officially commences this month. 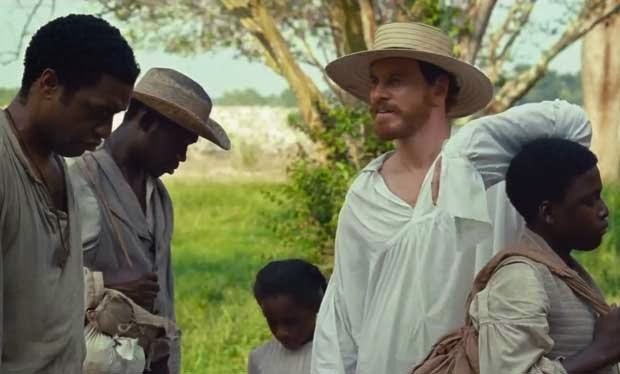 The question being asked about Michael in TYAS is can AMPAS embrace the depiction of Edwin Epps and nominate Michael Fassbender. He is a front-runner to be nominated, but a more simple, sweet and sympathetic character in another film is hogging the supporting actor limelight. 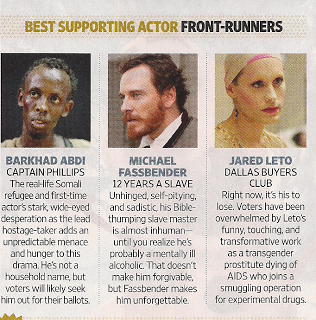 The Michael Fassbender Deserves Great Fans post resonated well with many fans. And TYAS and Fassy receive 7 Spirit Awards nominations. This was a quiet month due to personal commitments I had, however, Michael received Best Supporting Actor nominations from both the Golden Globes and SAG awards, and he won two critics awards. I also brought awareness that the studio needs to start promoting Michael's performance of Edwin Epps asap so that voters can see the great actor and his method behind bringing Epps alive on screen. If all it takes to win countless critics awards and nominations is to be a lovely, caring character - no actor will be interested in playing nasty and difficult characters. It took great bravery for Michael Fassbender to portray Edwin and actually scare people and make some cry in the audience. Ask yourself this, which character is more challenging to portray? A character where you loose 10+ pounds, put on some makeup and a wig and make snarky comments, or get inside the head and skin of a person who is as much a victim of the economic institution of the slavery industry as the actual slaves are? Yes, you read that right, people need to recognize all of what Michael Fassbender did to breathe life into such a sad, pathetic, angry, mean brut. The year 2013 was another great year for Michael Fassbender. And I'm proud of all the fun things and goals that the Fassinating Fassbender community did that year. What's so amazing is that Michael Fassbender is only going to become more in demand, more recognized, and we'll have even more to celebrate about for his career. And for me personally, this has been a trying year, a very, very stressful year, but it also had some brilliant highlights. During the bad times, writing for FF cheered me up. And during the great times, writing for FF cheered me up even more. The demands of school has been mentioned in many blog posts throughout the year, and I'm happy to announce that I graduated on December 21 with my Master's Degree in Communication, and my final grades reveal that I maintained a perfect GPA of 4.0. Sometimes I can't believe that I did it, but it's amazing what one can do when they set their mind to it. And on top of obtaining a new job in July, this January 1st is 100x better than Jan 1, 2013. Thank you to everyone who finds the time to make Fassinating Fassbender a part of their reading regime for Michael Fassbender news and information, and another thanks to the select people who have befriended me offline and those who are in active contact with me via email. It's a real treat and a gift to have friendships with people and have discussions with them beyond Fassbender stuff. Happy new year! And it's a great joy to be part of the FF community. Thanks for the 2013 review and I've high expectations for FF2014.